Trade with us and experience our unparalleled trading services. Choose from a wide variety of account types. The largest market in the world is Forex and as financial technologies have evolved the retail trader and investor has benefits from gaining access to these markets. There are several different brokers and products that enable you to potentially profit from Forex moves and, in this review, we’ll go over FXTM or ForexTime to give you a better understanding if they are a reliable broker and potentially the right fit for you. 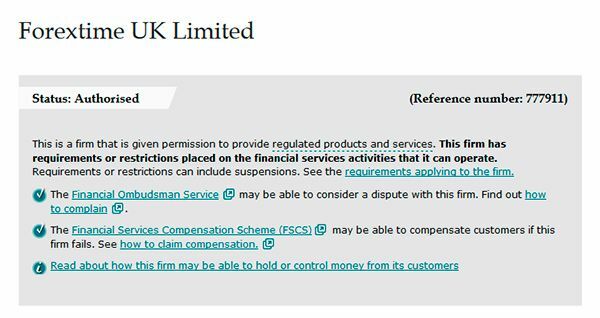 Is FXTM a Regulated Broker? How to Claim an FXTM Bonus? Back in 2013, FXTM won the award for “Best Forex Newcomer” and fast forward 5 years and the company is still winning awards. Most recently in 2018, the broker won awards for “Best Online Forex Trading Company Nigeria” and “Reputable Invested Education Forex Broker Award”. As you can imagine, winning these awards simply doesn’t happen for existing. Within their platform, there are different trading accounts, investments and education that allows you to grow as a trader and investor. From a quick glance ForexTime offers their client a robust platform that could potentially fit many of your needs. When selecting an appropriate Forex broker, one of the checkboxes that needs to be filled is reliability. While this definition may vary slightly from person to person, a reliable broker should have platforms that are easy to use and provide information, an education section to continue growing as a trader and investor and be compatible with the most recent technologies. FXTM states, “We work every hour on the hour to make your trading lives easier and to offer you a unique trading experience”. That being said, they offer client tight spreads within 0.1 pips, fast execution, deep interbank liquidity and expert advisors. Furthermore, you’ll have access to logarithmic trading and various account options that are compatible with MetaTrade 4 and MetaTrader5. Also, you’ll want to consider customer service because should something arise, you’ll want to know that your money is in safe hands. Included with your account is trading and technical support, easy account opening process and various promotional items. Between the awards and the stated benefits to FXTM, it appears to be a broker that offers their clients value and a reason to continue being a client. However, while words are easy to write down it would take some time to truly gauge their level of reliability. Opening an account should be easy and with FXTM there are several different options you can choose from. First off, the benefit to using FXTM are you have the ability to open a live account or a demo account. The importance of a demo account is you can test run the platform before depositing money and see if it is the right fit for you. This also gives you the ability to become more acclimated to the usage of the tools before putting your hard earned capital to work. FXTM offers three different account types, all of which allow for a demo. The first is a Standard account that utilized the MT4 platform. Some of the currencies you can deposit on this platform include the US Dollar, the Euro and NGN. You have the ability to leverage and spreads start around 1.3 points. Once you begin trading you’ll have the luxury of trading from 59 major, minor and exotic Forex pairs, spot CFD’s and even cryptocurrencies. The minimum deposit amount in this account is $100. From there their is the Cent account, which you can utilize with the same currencient as the Standard account with the first real difference being the minimum deposit amount of $1,000. Spreads start from 1.5 and you have access to only major and minor Forex pairs and 2 sport metals. The final account is the Shares account, which requires $100 to open and only allows for CFD trading with over 180 options to choose from. Spreads start from 0.1 and with all the account you have instant execution. As mentioned, take a test drive with a demo account to find the one that fits your needs best. Testing the platform can give you a true sense of how it operates and if it is a good fit for your trading needs. As mentioned, there are two platforms you can use and those are MT4 and MT5, which are known around the globe as being the two “go-to” platforms for Forex traders. At a quick glance, here are a few of the differences to consider. The first difference is in order execution as MT5 has 4 different types but MT4 only allows for 3. MT5 allows for partial fills and the fill policy for MT5 is fill, kill immediate or cancel return, compared to MT4 that is fill or kill. From there, MT5 has 38 technical indicators with MT4 containing 30. Graphical objects are limited to 31 on the MT4 platform and 44 on the MT5 platform. Economic calendars are included with the MT5 platform and there is an email system for both. While it may seem that MT4 is lacking behind MT5 they are different platforms and offer unique differences and preferences. Similar to the demo account, the best way to understand each is to take a test drive and find the one that fits you best. Furthermore, if you want to trade but not download any of the software there is a web-based trading for MT4 and MT5 called WebTrader. To achieve this, you simply log in to your FXTM account, open the platform and begin trading. This affords you the ability to trader from anywhere with an Internet connection and from any computer, even if the software isn’t installed. 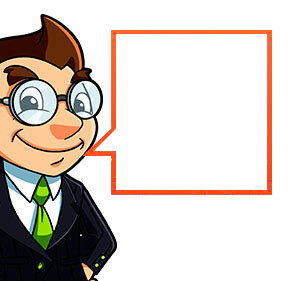 Arguably one of the most important topics of a broker are the products they offer. The more products the better because it makes it a one stop shop for all your trading needs. Starting with Forex, there are all the major pairs, along with minors and even exotic currency pairs. This gives you the ability to potentially make money in any market. Some of the pairs include USD/JPY, CHF/JPY, EUR/NZD and USD/CNH. As for commodities you’ll be able to trade UK Brent, US Crude and US Natural Gas. These are more volatile market that may allow for more entry opportunities. Furthermore, FXTM offers their clients the ability to trade metals. The markets include Silver vs Euro, Gold vs Euro, Gold vs Dollar and Gold vs British Pound. These markets tend to be active during volatile times in equity markets and give you the ability to quickly profit from market fear. Lastly, with FXTM you have the ability to trade share CFD’s, which gives you exposure to the equities market. There are many different options from Amazon to Apple. For a complete list of the equity choices as well as all the others, take a look at the FXTM menu. Funding an account should be simple and streamlined because this will limit friction between movement of money. The various deposit methods include FasaPay, Baokim, Local Exchange House and many others. For a full list of accepted deposit methods take a look at FXTM’s deposit and withdraw page. Other methods include Visa or Mastercard, cryptocurrencies and Skrill/Moneybookers. Withdrawal of funds is similar to the deposit methods mentioned. Within each service you can find the amount requirements as well as processing times. Each processing time may vary but you’ll need to understand them, as you’ll want to have the ability to plan accordingly. Yes, FXTM is regulated by IFSC. Within that that segregate client funds, have a strong industry reputation and have core values of trust and respect. Bonuses vary from platform to platform so it’s important to understand the detail in earning and obtaining any sort of bonus. The platform does offer a reward loyalty program where you can earn cash back. The complete details can be found on their website, but this offers their clients another way to earn a little more money. From there, look for the various bonuses which include a 30% deposit bonus. To claim these bonuses ensure you meet the various criteria. To verify your account, you’ll need proof of identity, which can be a passport or driving license. Also, you’ll need proof of address that is on a water or gas bill, and a residency certificate. This is common among many of the brokers out there. To close your FXTM account, you’ll first withdraw all your funds and close the account. From there you should be set. However, if you want to return to FXTM you should be able to reactivate your account and begin trading again. 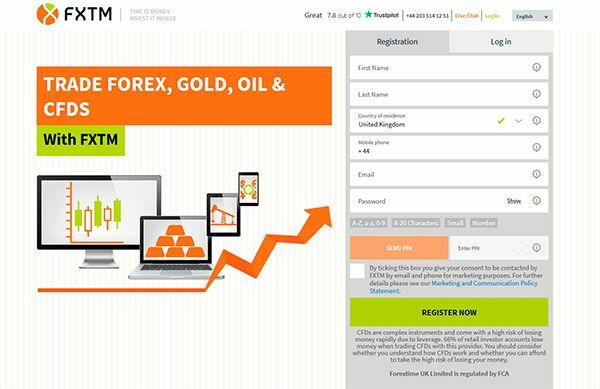 Overall, FXTM is a solid platform that offers their clients great value for their dollar. Take time to test run the platform with their demo account. From there, look at the options in the education section and review the variety of products offered. This appears to be a solid platform but only you can make the final decision if Forex Time is right for you.